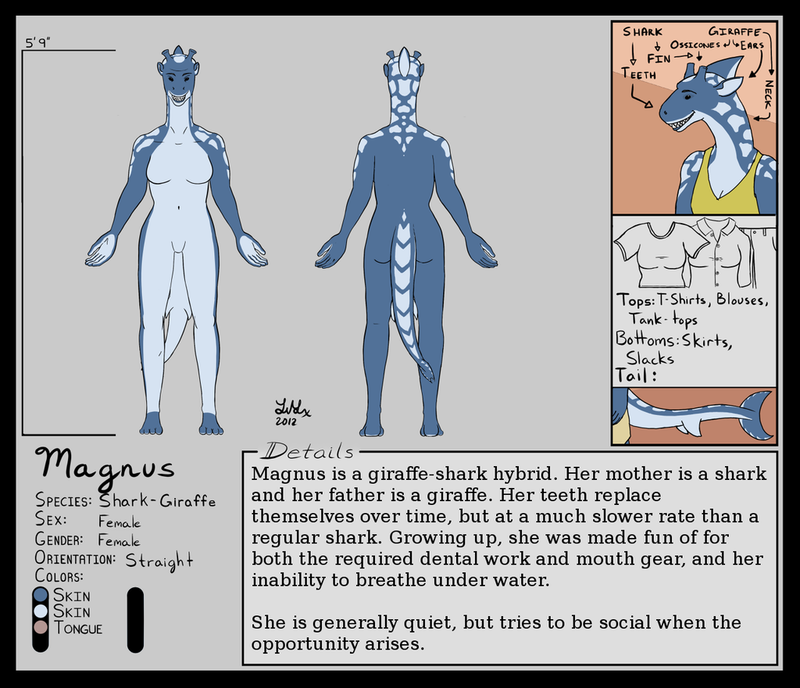 Magnus is a giraffe-shark hybrid. Her mother is a shark and her father is a giraffe. Her teeth replace themselves over time, but at a much slower rate than a regular shark. Growing up, she was made fun of for both the required dental work and mouth gear, and her inability to breath underwater despite "being a shark." She is generally quiet, but tries to be social when the opportunity arises.